This shouldn't be considered just an aesthetic issue. Unless your home is vintage and the paint is reaching the end of its lifespan, peeling exterior paint generally signifies a moisture problem. Possible causes include leaking gutters or a steaming bathroom that isn't appropriately vented. Begin resolving this by checking your gutters for any cracks or gaps. If the issue arises just behind a kitchen or bathroom wall, you'll want to consider a specialized ventilation fan set to automatically exhaust moisture. Once you've resolved the underlying issue you can easily scrape off the peeling paint, prime where needed, and repaint. Grab a notebook and note which lights flicker and when. A solitary flickering bulb might just be loose or require a more efficient replacement. However, if you notice lights are dimming every time a certain appliance turns or flicker only in one room, then you might have an overloaded circuit. It's best to hire an experienced electrician to check the connections in your circuit box and add a new electrical panel if needed. If you watched the situation in Flint, Michigan unfold, then you're probably already aware of the dangers that can arise with tap water. The Environmental Protection Agency has estimated as many as 10 million American homes and buildings receive tap water partially serviced from lead pipes. We recommend contacting your local water company and/or testing your water to ensure it is safe to drink and use. However, lead isn't the only issue with tap water. If your water tastes metallic or has a distinct chlorine flavor, then there might be other issues with your plumbing system. If this only occurs with one faucet, then you might be able to flush it out or have a plumber fix the issue. Consider using an under-the-counter water purifier to further remove contaminants. 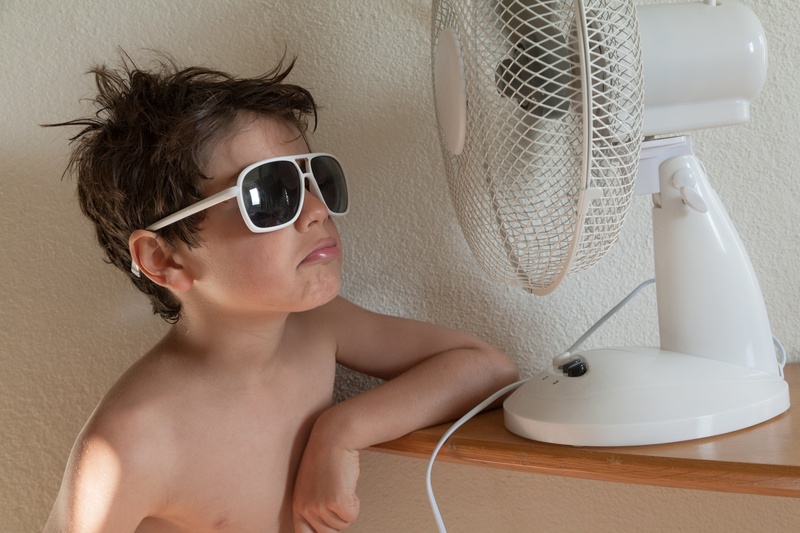 Rooms that seem to always feel hot, especially in the summer, can negatively impact your comfort and energy bill. While this might be an issue of poor air duct design or installation, generally, specific hot room cases are caused by excessive heat gain from sun struck windows. This is especially true in areas like Las Vegas, where the climate is characterized by long, hot days with full sun. You can resolve specific room heat gain by installing motorized interior shades. These shades include automatic programming that enables you to block out undesirable heat without impacting natural views. These are the 4 solutions to solve a few of your home headaches. When looking for shades for your home call Polar Shades at 702-260-6110 and download our free Shades and Blinds guide to learn more.